Menu selection includes sandwiches, hot rolls, Panini’s, soups, meals, sweets and more. 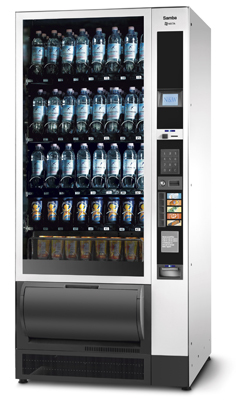 Vending Services Ltd have replaced many conventional canteens over the years feeding up to 1,000 people at one break and this can save companies thousands of pounds per annum. 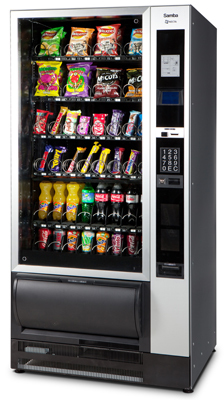 Our experience has been gained over many years by employing the cream of the vending industry’s operational staff and working and listening to them. Daily choices: 4 week menu cycle. Sandwiches: regular, deep fill, premium, submarines, morning rolls, wraps. A few fillings: Cajun Chicken, Egg Mayo & Bacon; Ham Salad; Prawn Cocktail; Ploughman’s; Turkey Salad; Cheese & Coleslaw; B.L.T. ; Chicken Mayo; Tuna & Sweet Corn; & Ham & Cream Cheese; Roast Beef & Tomato & 40 choices in all. Paninis: Vine ripe tomatoes & mozzarella cheese; bacon & cheese. Hot Rolls: bacon, sausage, big breakfast, black pudding, cheese omelette. Burgers: cheese burger, beef burger. Meals: selection including sausage hotpot, chicken curry, chilli. Big eat soups: chicken, beef broth, tomato, and lentil. Baked potatoes, Scotch Pies, Bridies, Salads. Pasta Pots, Fresh Fruit, Milk, Fruit Juices. Please contact us to find out more about our food vending service..